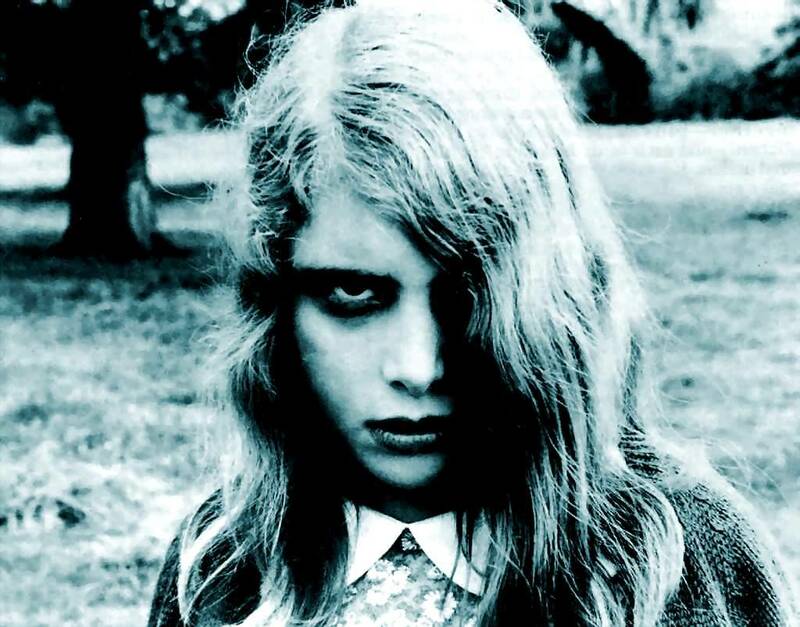 Horror has always been a part of our lives; be it from the scary stories we used to tell and hear from our friends as kids, or our adult life anxieties – which are somewhat originated in our childish fears – it presents itself in the most diverse forms. It’s also in that context that horror movies live and breed, feeding off our primitive fears and constant wish to be surprised. There are many theories which explain our taste for bloody films – our parents say it’s silly, life is already tragic enough! – is it our subconscious desires come true through someone else’s hands? Could it be a natural human instinct over violence? Maybe even the cathartic personification of evil into one single villain. Well, no matter how many theories and scientific studies we read about that subject, no one can deny…in the end, watching horror films is so much fun! Within that same line of thought, there is a whole universe inside horror movies which lives off that ambiguous feeling and seems to go the other way around. How can a movie that deals with such obscure subjects make us cringe and/or laugh? Some movies go over the line to show you incredible amounts of blood, guts and screams, sometimes mangled with awkward special effects, terrible acting and hysterical one-liners. Trash horror movies are not for everyone, but for that select group that enjoys it, it sure is a handful…or should we say, bucketful? Many people dismiss these movies first-hand because of their apparent low-quality. Yes, B-horror movies are called so because they have a low-budget and a smaller cast and crew, and yes, there is a great amount of them who are only cheap and easy ways to make money with a cliché uninteresting plot. But, if you look close enough, some of them are exceptions, presenting us with smart and creative ideas (you have to be original to make something good out of a low-budget production), which at times, end up creating new kinds of filmmaking and being influential to more mainstream movies. Therefore, they may not be as disposable as you would think, besides being fun and a sure way to render a great popcorn session among friends. This list aims to take you in a brief tour through the vast underground universe of B-horror movies. Killer clowns, aliens from outer space, monsters in baskets, radioactive freaks, creatures straight from the depths of hell, brain-thirsty zombies, you name it. There are endless subgenres, different tones to each movie; some present us to really scary plots and deranged characters, while others have a naïve quality and don’t even attempt to be serious, or even both. But they all have one thing in common: good old blood & guts. The movie begins with a warning, saying “it may be too intense for persons under the age of seventeen”. Indeed, this sequel to the 1981 “Evil Dead” has one of the most intense beginnings in horror film history, as we see the anti-hero Ash Williams being a pawn to the evil spirits from the Book of the Dead. In fact, it is witty, ironic, dark and scary, all at once, and it hits us with about just the same energy the spirits attack Ash from the start: it’s everything a trash horror movie is supposed to be. While the first movie was slower-paced, with a more stereotyped horror plot – a group of teens go to a cabin in the woods and stumble upon something supernatural – this one barely gives us time to breathe and it’s much more original. Scenes like the one where Ash is alone in the cabin and the spirits try to make him go mad through various tactics are things we don’t see in any kind of horror movie too often. The difference is that, in this sequel, Sam Raimi and his Renaissance Pictures had a better budget, so they could transform something that was already good into something even greater. Later on, Linda, the daughter of the professor who discovered the “Necronomicon Ex Mortis”, arrives at the cabin along with her boyfriend and another couple who lives nearby. They immediately antagonize Ash and blame him for the death of Linda’s parents, but they soon find no one can really cope with the evil like Ash does, and what we see unravel before our eyes is a carnival of what are probably the bloodiest scenes ever. 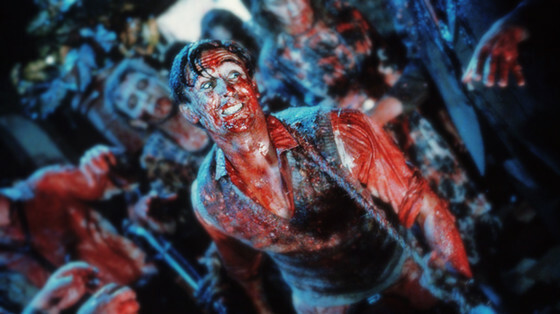 The Evil Dead franchise gathered a massive fan-base, eventually becoming a cult-classic and generating various follow-ups, such as video games, comic books, a third movie – Army of Darkness – and a remake, made in 2013, in which Raimi was also involved. It’s hard to imagine Peter Jackson directed a movie so trash and gory as “Braindead” a decade before he directed the trilogy of “Lord of the Rings” and “The Hobbit”. However, even if “Braindead” doesn’t have the same budget as a major studio production, it has just as much film quality as one. Who would have known that the single bite of a monkey could be the subject for one of the most gore films ever made? Whoever is bitten by this rat-monkey turn slowly into a flesh-eating zombie. Also, “Braindead” has that naïve quality, present in the love story developed between the main characters, Lionel and Paquita. Lionel is a geeky type who lives with his mother and is extremely submissive to her; it wouldn’t be different with Paquita, with whom he develops an awkward bond. While Paquita is a straightforward girl who is sure Lionel is the love of her life, because of a prediction her grandmother saw in tarot cards, saying the man would be recognized by the symbol of the star and the moon. Of course that when they meet, somehow Lionel, in one of his awkward fits, manages to produce a star symbol. Up from the point where Lionel’s mother is infected by the rat-monkey, as they are visiting the zoo, the film gets all the while more bloody and gory. Lionel tries to hide from everyone his mother’s sickness, but soon there are a lot of people involved, including Paquita. In later scenes, Peter Jackson achieves a whole new level of creativity in ways you could die in a horror movie, using as much blood as possible (the production registered 300 liters of fake blood), of course. This movie is a classical trash horror film, starting with the story behind its name. Naming it “Troll 2” was a marketing tactic thought by the distributors, who figured the movie wouldn’t succeed at all in the U.S., so they sold it as a sequel to another movie from 1986, called “Troll”. 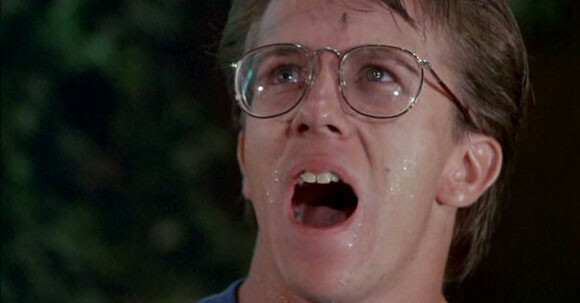 However, the movies are not connected at all, and the funny thing is, “Troll 2” doesn’t have any trolls in it. Seeing that not even the distributors had any faith in the movie, it has to be something out of the ordinary. A film that features vegetarian goblins who live in a town called “Nilbog” (yes, “Goblin” spelled backwards) and try to turn a newcomer family into plants has a guaranteed place in this list. The film’s plot is not only preposterous, but so is everything else about it. We can see the director attempted to make a serious horror movie, but absolutely nothing works in it, the acting is terrible, there are more cringe worthy scenes than you can count, and the “troll” costume worn by the actors is nothing near scary. Basically, this could be a kid’s movie. It’s too innocent and harmless to scare anyone and the stereotypical characters present in child’s stories are here, too – the good, heroic kid and the evil witch. On the other side, it has enough terrible scenes to be considered a trash movie, for the gore factor (in this case the predominant color is green, not red) and many scenes that try to be scary but, in the end, can only make us laugh. Definitely one of the greatest slashers, having been released in the early 70’s, it became a precursor in the subgenre and later on, a cult classic. This film is remembered to this day due to its new approach of horror, Leatherface is one of the most brutal villains to ever hit the screen and the portrait of violence in “Texas Chainsaw” is overall raw and gruesome. Needless to say, it contained several elements that later would become common-place in slasher films. There is a warning in the beginning of the movie, saying it was inspired by real-life facts, but that was only a marketing tactic, although some of Leatherface’s traits really were inspired by real-life murderer Ed Gein, America’s “original psycho”. The low-budget forced Tobe Hooper and the crew of unknown actors to shoot as fast as possible, and the movie really does have a fast-paced rhythm, which only increases the tension. We begin the movie accompanying a group of friends in a van, two of them are brother and sister (Sarah and Franklin), and they are going to an old house in the country that belonged to their family. Things start going bad when they first pick up a hitchhiker who turns out to be a violent man. The group arrives at the house and they soon decide to split up, so it wouldn’t be much surprise that some of them end up stumbling upon Leatherface’s family house nearby, one by one. One of the most shocking scenes is by the end of the movie, where we are introduced to Leatherface’s family members; his brother, father and grandfather, a perfect gore family portrait. 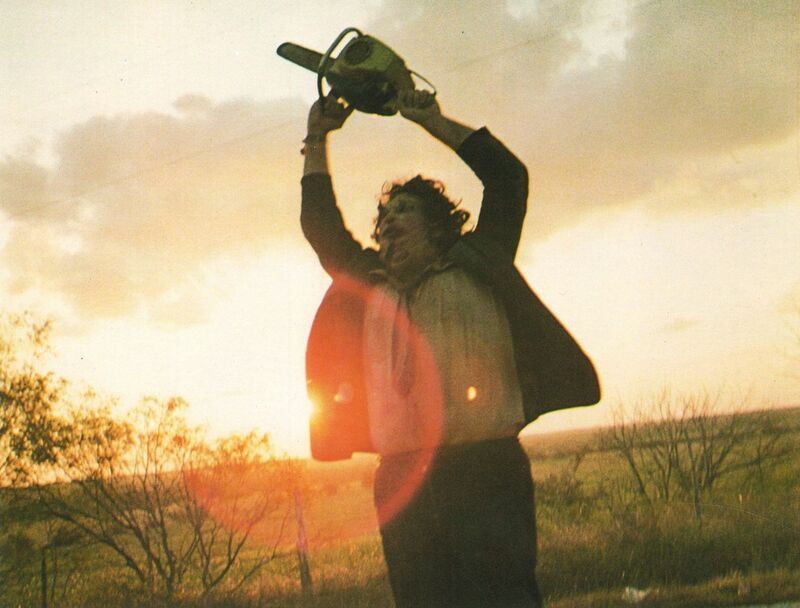 The last scene follows a get-away, where we see Leatherface in the middle of the road, brandishing angrily his chainsaw in the air out of frustration, as gleams of sunlight hit the camera, one of horror’s most iconic scenes, no doubt. Director Stuart Gordon had the idea of adapting one of H.P. Lovecraft’s novellas into a gore sci-fi film, and then Re-Animator was born. It presented us with a re editing of so many zombie movies, only this time mangled with a science fiction plot, much more blood and guts, and humorous undertones. 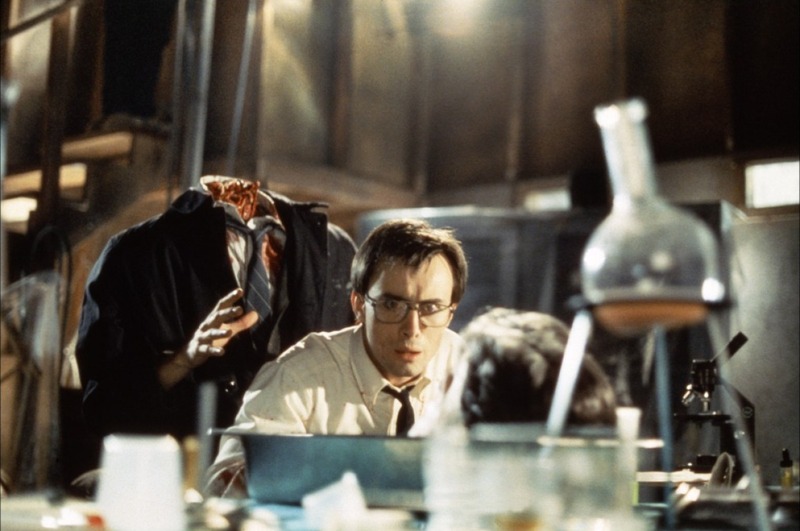 Jeffrey Combs stars in Re-Animator as an ambitious young doctor, Herbert West, who wishes to boost his career by experimenting with a serum that supposedly brings corpses back to life. When he first tries it on the fresh body of his professor, it works, but brings along many terrible side-effects, and so West is accused of murder. The rest of the movie unravels as West continues his crusade of re-animating, always leaving traces of blood and a body count wherever he passes. What we see is a succession of living people being killed and/or dying and then coming back to life in a gruesome zombie-like state, but that doesn’t stop Herbert West from wanting recognition for his discovery. The franchise made a remarkable change in the trash horror scene, leaving a legacy that influenced many other movies that came later. It still went on to have two sequels, “Bride of Re-Animator”, from 1990, and “Beyond Re-Animator”, from 2003. Also, Stuart Gordon went on to direct another movie the following year, with both Jeffrey Combs and Barbara Crampton, based again on a H.P. Lovecraft story, “From Beyond”, a 1986 movie that deserves an honorable mention in this list. A one of a kind movie that combines nonsense humor, high doses of violence and an absurd plot was another trash film that marked the 80’s. Frank Henenlotter’s creation was about a young man, Duane Bradley, who walked around New York City with a mysterious wicker basket under his arm everywhere he went. 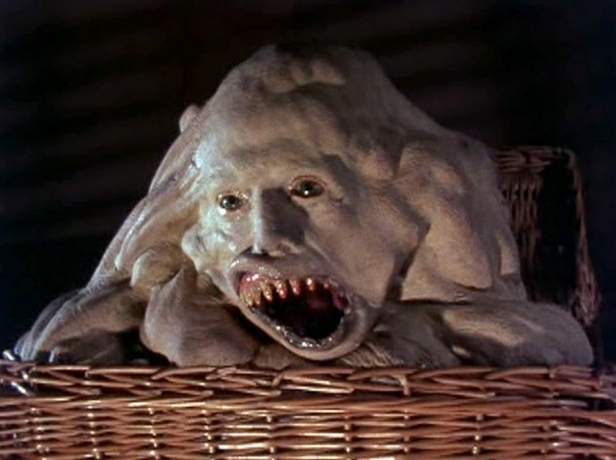 One of the most iconic lines repeated throughout the film is “what’s in the basket?” such is the curiosity the characters nourish, and so does the audience. Well, we already imagine what must be inside the basket, since the movie has given us clues and led us to believe it is some kind of monster, however, it is revealed to us, only much later, what/who it is. Until then, all we know is that what is inside the basket is causing death wherever it goes, and the movie presents us with several gory scenes, where all we can see are glimpses of deformed claws, lots of blood and what appears to be some kind of creature with a round form. The story involves not only a horror plot, but also a psychological dimension to the main characters; the experiences that caused them to suffer and led them to kill in the first place are all shown to us, taking trash movies and its protagonists to a whole new level of psychological analysis. The movie has various funny moments, be it from actual jokes and puns in the dialogue, or from the awful acting delivered by the actors involved. Also, the artistic department must have had a lot of work to come up with something so innovative.